In our weekly game of two lies and a truth, we look at three viral stories people are sharing on social media – but only one of them is true. Did Elon Musk offer to buy Facebook just to delete it? Does a billboard in Missouri feature Donald Trump alongside a bible quote and the message “Make the gospel great again”, and is InitiativeQ a pyramid scheme tricking millions around the world? There is no limit on sending the link, but you can only verify 5 friends in total. Initiative Q will succeed only if many people join. The more people invite their friends, the greater the likelihood of reaching the goal of each Q being worth around one US dollar. People have started spamming each other with this “offer” to be part of a currency that overcomes the barriers of payment networks made in the ’50s, while others have started freaking out that people are being sucked into yet another pyramid scheme. The InitiativeQ site says that they are an economic experiment and that they “don’t want your money, we just want you to join.” So how legit is this, and is it a scam? The truth is, it is exactly what it says it is, an experiment around a dedicated currency and is unlikely to be the next Bitcoin. They are not scamming you, but trying to focus on user acquisition so that the concept becomes valuable. This story has been circulating ever since the Cambridge Analytica scandal, and it was around the time that Elon Musk decided to delete the Tesla and SpaceX Facebook pages (eventually he deleted his own Instagram account). The story has continued to do the rounds particularly recently, however with the issues Tesla has been facing this year we are sure the last thing Elon Musk is worried about is buying and deleting Facebook. A fun idea around billionaire vs billionaire, but one that has to be put in the “fake news” basket as there is no evidence to back this one up. 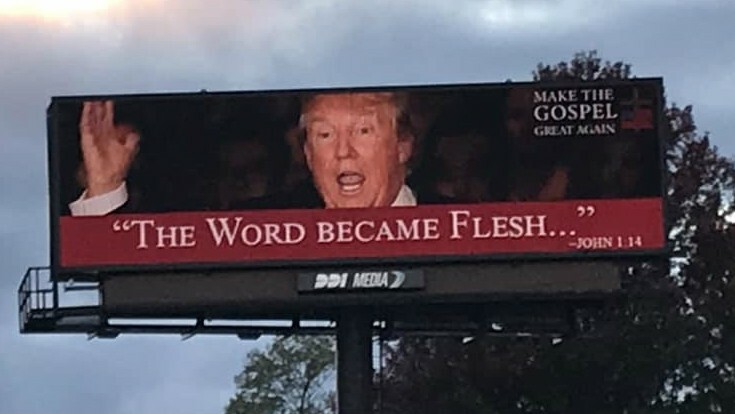 An image started circulating last week of Donald Trump apparently on a massive billboard alongside the phrase “Make the gospel great again” and “The word became flesh – John 1:14”. Many people immediately dismissed this as a photoshop job in the lead up to the recent November 2018 elections. 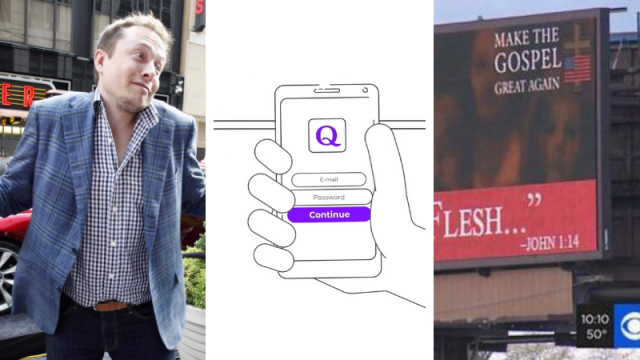 Some social media users were offended that the billboard was heresy, while others thought it was a tasteless joke. The truth is somewhere in the middle, with St Louis television station KMOV finding it was absolutely a real billboard in Missouri alongside a highway, but no one is sure yet who paid for it, or who is behind the advertising. Each week we'll be diving into the recess of questionable news pieces online to ascertain how much of it we truly believe. Saddle up that cynicism, sheeple!